New Zealand's Aimee Fisher starred on the final day of competition at the International Canoe Federation Sprint Under-23 and Junior World Championships as she won two gold medals in Pitesti in Romania. The Rio 2016 Olympian triumphed in the K1 200 metres and 500m under-23 events to ensure she concluded the event in style. Fisher crossed the line in 40.096sec to win the 200m in front of Hungarian Dóra Lucz and Biljana Relic of Serbia, who claimed silver and bronze respectively. The New Zealander was also in fine form in the 500m race as she beat Australian rival Alyssa Bull with a time of 1min 48.948sec. Bull did enough for the silver medal, while bronze went to Britain's Rebeka Simon. "That was so good, there were a lot of emotions out there," Fisher said. "I just wanted it so bad, for [coach] Rene Olsen. "I couldn’t have done any of this without him. "Ever since the World Cups, every day he’s just been focusing for this moment, so I wanted to send him out in style and thank him for everything he's done. "I feel like I had some pretty good survival mode strokes at the end there. "Every stroke back home in those key sessions, I was thinking about this moment." Elsewhere on the last day of the event in Romania, Lithuania’s Henrikas Zustautas clinched his third under-23 C1 200m title with a time of 39.192. Zustautas finished in front of triple Olympic medallist Isaquias Queiroz Dos Santos to return to the top of the podium in the event for the third time. Brazilian Dos Santos, who won two silvers and a bronze at the Rio 2016 Olympic Games, was second, while Jonatán Hajdu of Hungary took home the bronze. "It was more motivation because he was the bronze medallist in Rio, I was in Rio and I finished just 11th," the Lithuanian said. "For me that was bad, so I came here for revenge with him. "I was nervous because it’s a World Championship and before the race I didn’t feel so good." Hungary ended the Championships at the summit of the medal standings with a total haul of 18, seven of which were gold. Alida Gaszo was among the Hungarians who triumphed today as she won the K1 junior women's 500m race in 1:52.716. She was over a second quicker than silver medallist Alina Svita of Belarus, with bronze going to Mexico's Beatriz Fragoza. Triple Olympic medallist Isaquias Queiroz Dos Santos mastered strong headwinds today at Lake Budeasa in Pitesti to win gold at the International Canoe Federation Sprint Under-23 and Junior World Championships. The Brazilian topped the men’s under-23 C1 1,000 metres podium after clocking a time of 4min 35.072sec on the water in Romania. Queiroz Dos Santos, who won two silvers and a bronze at the Rio 2016 Olympic Games, held off the challenge of Russia’s Vladislav Chebotar and Cuban Arnold Castro in tough conditions. 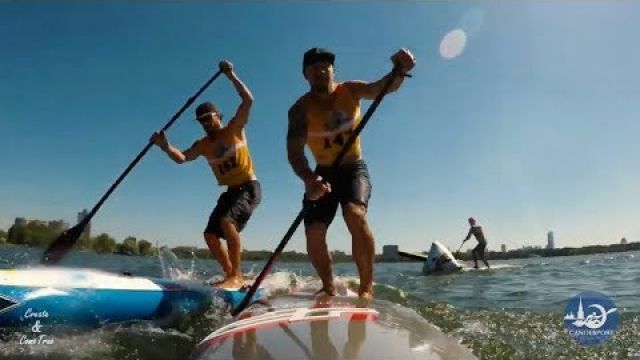 After getting off the water, Queiroz Dos Santos said his focus is now on the senior World Championships being held in Racice in the Czech Republic next month. “I’m really happy, the wind was very difficult, but it was OK,” he said. “This competition is not the most important this year. 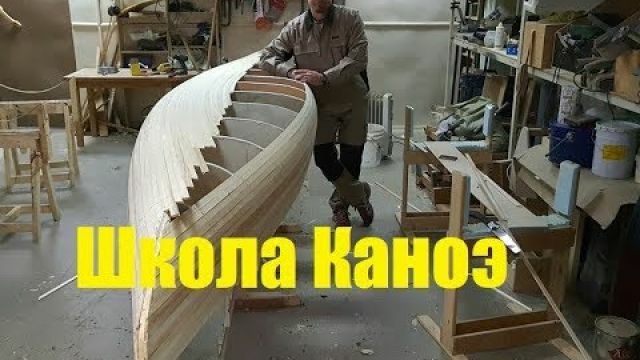 “It is for me preparation for the senior World Championships. With the winds causing havoc, several golds were won by paddlers out in lane nine. Among them were Argentina’s Agustin Venice in the men’s under-23 K1 1,000m and German duo Finn Eidam and Benedikt Bachmann in the men’s under-23 K2 1,000m. China’s Hongzheng Li and Wenhua Chen also used the outside lane to their advantage to win the men’s under-23 C2 1,000m while Russians Ian Kavaliauskas topped the podium in the men’s junior C1 1,000m. Elsewhere on the lake, there was more Chinese gold as Yanan Ma claimed the women’s junior C1 500m title. 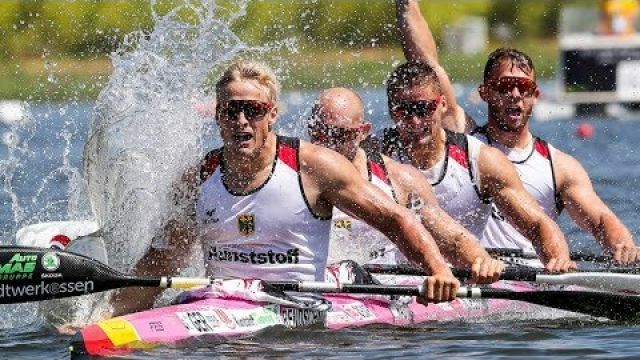 It proved to be a good day for Germany as well with Jacob Schopf winning the men’s junior K1 1,000m gold before Jakob Kurschat and Jakob Thordsen bagged the men’s junior K2 1,000 crown. Hungary also had a mini gold rush today with three victories. Their women’s under-23 K4 500m team, consisting of Fruzsina Rackso, Agnes Szabo, Eszter Malcsiner and Zsofia Szenasi, won gold despite only beginning training together earlier this year. The country also tasted success in the junior equivalent of the K4 500m as Anna Lucz, Karina Biben, Petra Kovacs and Zsoka Csikos paddled to victory. 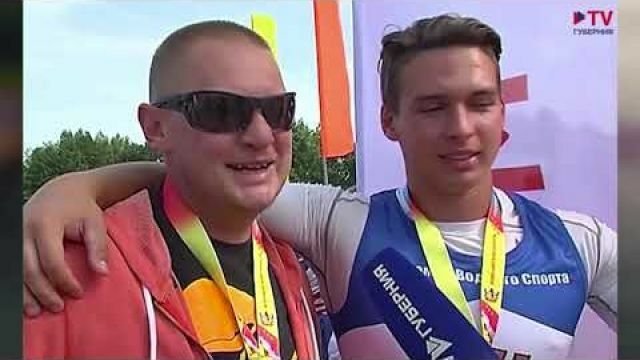 The Hungarian’s good day was completed by Adam Slihoczki and Atilla Szoke as they won the men’s junior C2 1,000m title. Australia’s Alyssa Bull, who competed at Rio 2016, topped the women’s under-23 K1 1,000m podium while Czech athlete Sofie Kinclova was victorious in the junior race. Alena Nazdrova of Belarus claimed the women’s under-23 C1 500m gold.